Home › Toys › Dc Collectibles Batman: Arkham Asylum: The Joker Harley Quinn Scarecrow And B..
Dc Collectibles Batman: Arkham Asylum: The Joker Harley Quinn Scarecrow And B..
Three of the most dangerous inmates of Arkham Asylum unite to take downBatman. Based on the designs of the hit Batman: Arkham Asylum videogame comesthis action figure 4-Pack with new deco! 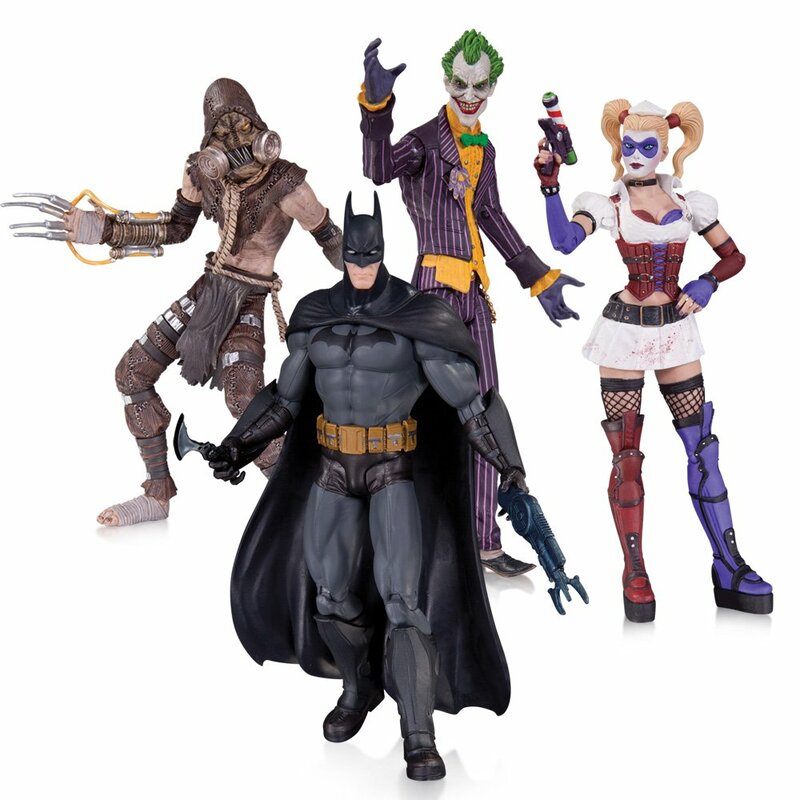 Scarecrow stands 6" tall, whileBatman is 6.75" tall and Harley Quinn and The Joker are both 6.6" tall.